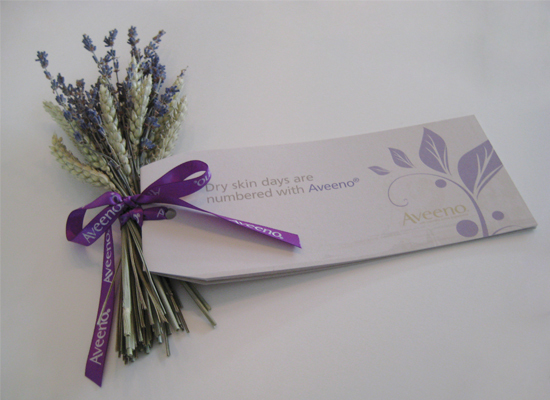 Media mailer that needs to be attached to both a bouquet of flowers, sprig of lavender or product. 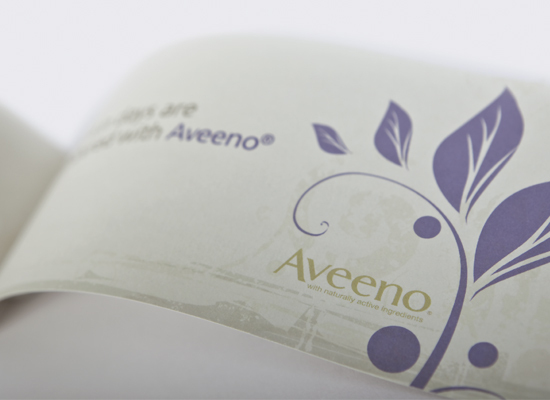 Needs a natural colour palette and use of the colour purple, to convey the new lavender infusion. 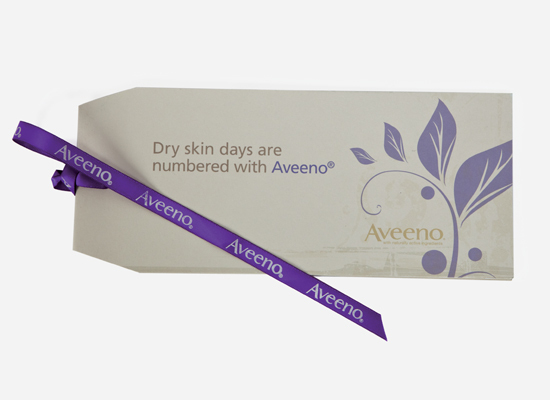 Branded ribbon to bind an oversized gift tag style booklet and aid attachment to the gifts. 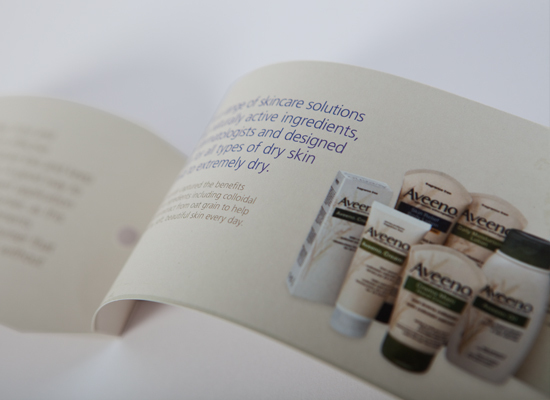 Printed on uncoated stock to communicate the ranges natural ingredients, combined with a neutral colour palette.